Have you ever longed for a quick Windows fix? There's a tool for that! Do you want to edit photos without expensive software? There's a tool for that, too! I recently ran across a great freebie that lets you fix Windows glitches with one click, plus a no-cost pro-quality image editor. Also this week, Carbonite is halving its usual fees--but the offer is limited. Keep reading for details on all this good stuff. Have you ever wished for a magic wand that could make annoying Windows problems disappear? Like, say, a missing Recycle Bin icon, or those pesky Runtime Error messages in Internet Explorer? FixWin is that magic wand. This ingenious free utility requires just over 500KB of space, runs without installation, and quickly fixes 50 different Windows glitches--many of which would normally require a trip to the Registry. These are divided among five categories, including Windows Explorer, Internet & Connectivity, and System Tools. Each problem is presented with a brief but thorough description. 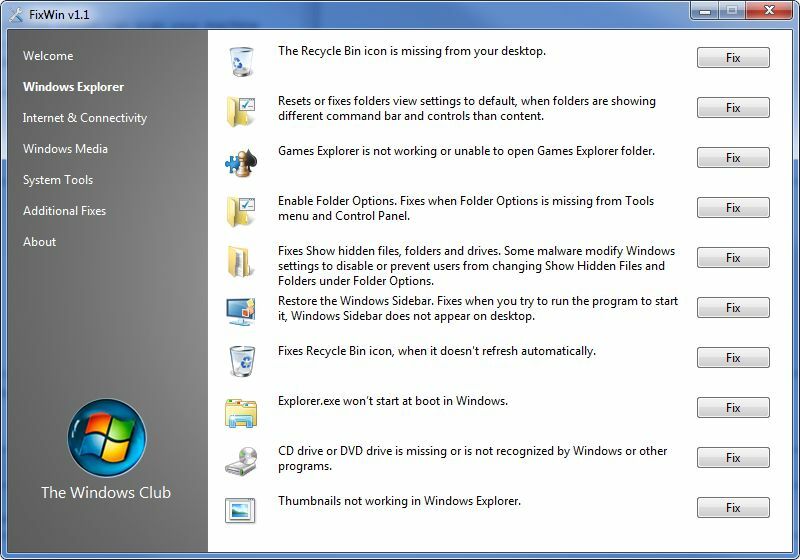 Here's an example: "CD drive or DVD drive is missing or is not recognized by Windows or other programs." (Been there!) To fix a problem, just click the corresponding Fix button. It really is that simple. And before you get started, FixWin can scan your machine for--and fix--corrupted system files. It also allows you to create a System Restore point before making any changes, a smart addition. Certainly FixWin won't solve all your Windows issues, but if it can correct just one, it's well worth the download. For everyday image-tweaking chores--cropping, resizing, and the like--I use IrfanView, one of my all-time favorite freeware apps. But when I need drawing tools and other advanced capabilities, nothing beats Paint.NET. Don't let the Web-oriented name fool you: this is a powerful image-editing program, one stuffed with Photoshop-quality features like layers, special effects, and plug-ins. Best of all, it's absolutely free. Consequently, I think it's a no-brainer for any user looking to edit, enhance, and otherwise modify images without spending crazy bucks on Photoshop. The just-released 3.5 version of Paint.NET adds an updated user interface, new effects, improved startup performance, and a long list of tweaks and fixes. To use it, you'll need Windows XP, Vista, or 7, and Microsoft's .NET Framework 3.5. I'm perpetually amazed that you can get software this powerful that doesn't cost a dime. Bottom line: If you want to edit images, get Paint.NET. I'm a big believer in making online backups to complement my local backup solutions. That way, heaven forbid there's a fire or something, my data will live on in the cloud. Alas, I've always been a little too cheap to pony up the $50-60 annual fee for a service like Carbonite or Mozy. But $27.47? That I can swing. From now until December 31, you can save 50 percent on Carbonite's subscription plans. That means you can get one year for $27.47, two years for $49.97, or three years for $64.97 (definitely the best deal). 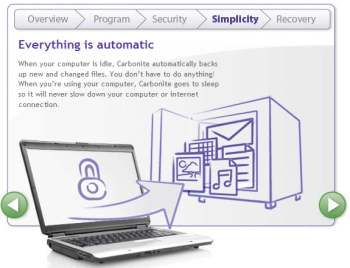 To take advantage of the offer, just sign up for a new Carbonite account and use coupon code CUST50. I've always been a Mozy man myself, relying on the free 2GB MozyHome account for just my most crucial data. But because I'd feel much safer having my photos, music, and other "big" stuff backed up, I'm giving serious consideration to the Carbonite deal. After all, $64.97 for three years is only five bucks more than I'd pay for one year of Mozy's unlimited service. That's hard to pass up! Rick Broida writes PC World's Hassle-Free PC blog. Sign up to have Rick's newsletter e-mailed to you each week.